Hey dolls! 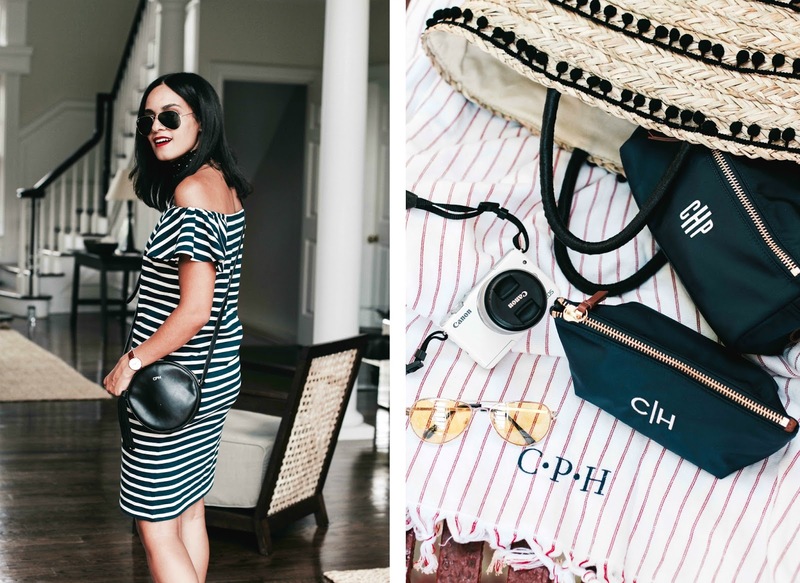 Now that summer is here and travel season in full effect, I wanted to share with you all some of the ways I've been upgrading my travel must-haves this season. 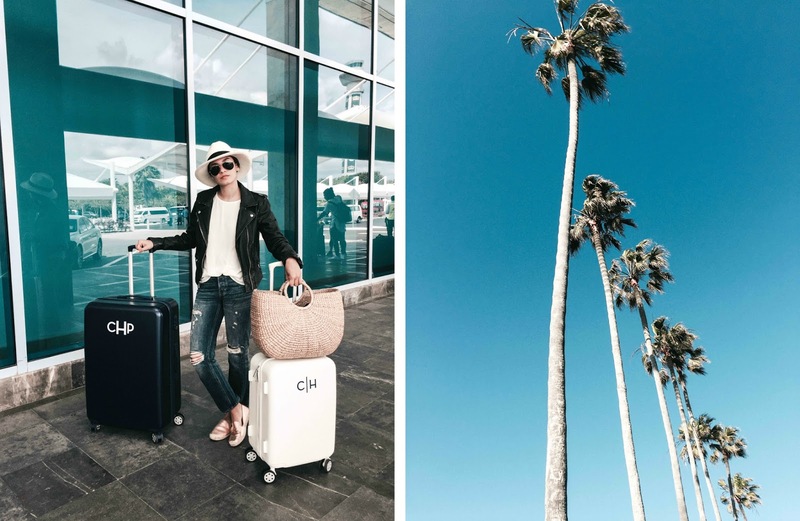 These are your typical"travel essentials" but with a twist. No drastic changes here but rather small touches that make all the difference. Because who said basics had to be basic, amiright? Keep on scrolling to check out how you can do the same for yours! I've spoken about these guys before, but in case you missed it, behold my dreamy luggage set from Mark and Graham! At first glance they're you're typical "all wheel drive" structured bags. But when you look closer you'll notice that they actually have my initials monogrammed front and center! A minor detail that'll upgrade your luggage significantly. Not only does this make it easier to find your belongings at baggage claim, it looks incredibly adorable and unique to you. These and additional M&G luggage sets linked below! 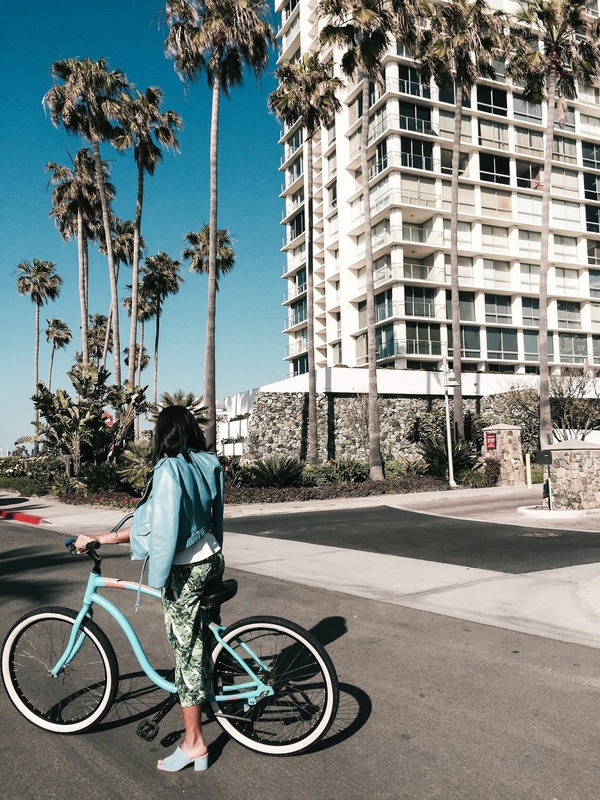 photo taken in San Diego, California. April, 2016. Staying on the customized isle, above two items that are 100% worth the investment for your smooth summer sail. One is the perfect black crossbody bag. A small one that can perfectly fits all of the essentials comfortably - think: phone, (room) keys, wallet! This round one by Mark and Graham has been my ultimate travel companion this summer. It comfortably takes me from day to night without feeling overwhelmed or weighed down. Photo take at the Estancia La Jolla, San Diego. Mirrorless cameras are by far my greatest discovery of 2017. I know I'm super late to the game but, you guys, you have to look into these! Canon was kind enough to let me play around with their EOS M10 which is compact enough to bring along to any trip (good riddance clunky DSLRs!) without compromising the quality of the image. My favorite feature is that you have the option to switch out the lenses depending on the type of photo you're looking to achieve. And while the M series lenses differ from your regular EF mount lenses (the ones you use on your DSLR usually) you can easily use your EF lenses by popping on a lens adapter first. You can see samples images taken with the Canon M10 here, here, here and here. Shop it here! In the comments below tell me where you're headed to this summer. Hope these tips help you with the packing process! 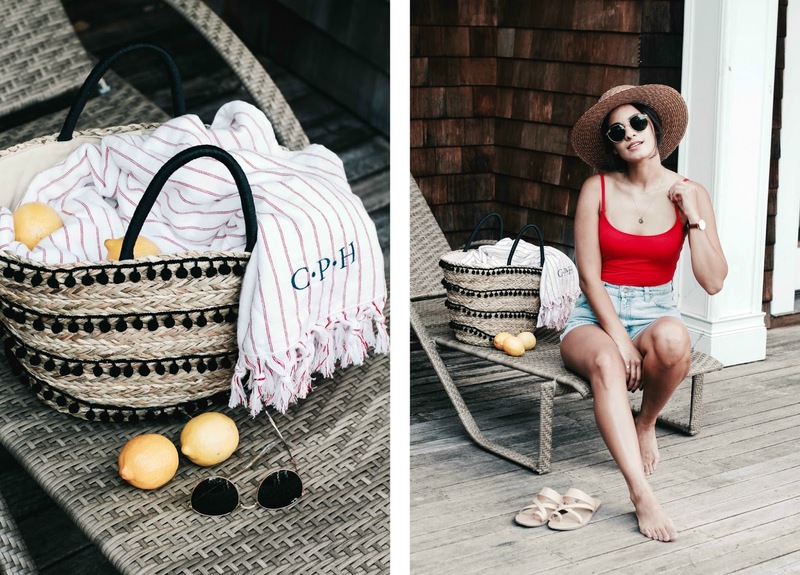 In love with your basket bag! My little crush this summer as well! 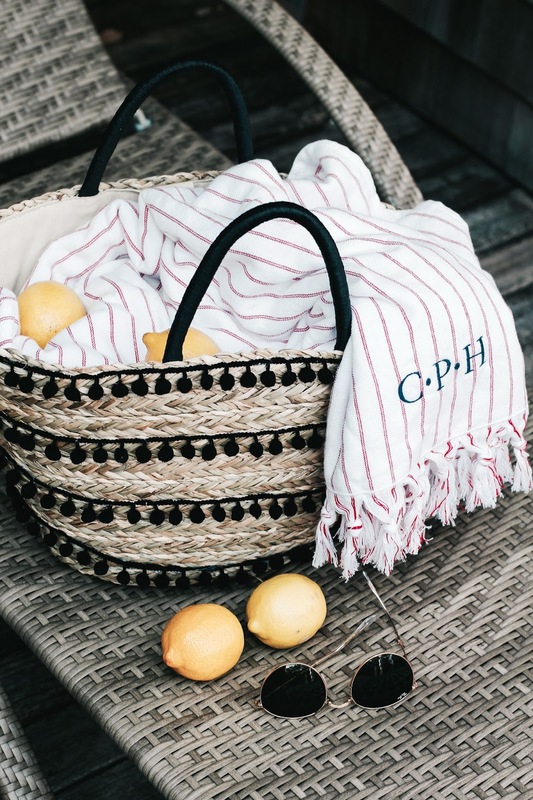 Such a cute post, love all the items you have that have your initials - so personalized! Your photography is just amazing! Loved reading this post! What an awesome post, and I looove your first look !